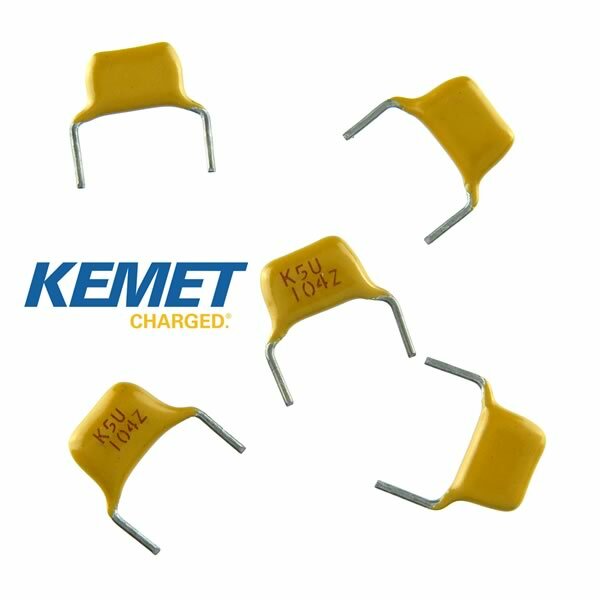 Compact 0.1uF 50V mono cap from Kemet. Size is approximately 0.23" wide x 0.15" tall x 0.086" thick. Marked "K5U 104Z". Has short formed PC leads on 0.30" centers. Sold in a factory bag of 250.